Late last week, Japanese Twitter users set a new Twitter world record: a staggering 143,199 tweets per second. This was no accident. And it will, no doubt, make Twitter better. According to the verified account of Twitter's Japanese branch, the record breaking number occurred last Friday at 11:21:50 PM Japan Time. Why? What caused this? Note: Below there are spoilers about a 1986 animated film from Studio Ghibli. Last Friday, the classic anime Castle in the Sky was rebroadcasted on Japanese television. At the climax, the characters utter the word "balse" in a Spell of Destruction to bring down the city named "Laputa". The moment the characters say "balse", people in Japan get on Twitter and tweet "balse" (バルス). That's, well, it. Castle in the Sky is rebroadcasted on a nearly annual basis in Japan, so people can coordinate online before hand and hold a "Balse Festival" (バルス祭り or "barusu matsuri") on Twitter, which is essentially seeing how much capacity Twitter actually has. That would be a lot, it seems. In 2011, Japan had previously set a Twitter record during a Castle in the Sky showing, battering Twitter with 11,349 tweets-per-second. As ANN points out, that record was later eclipsed by a record of 33,388 tweets per second set on New Year's Day this year, when Japanese Twitter users tweeted "ake-ome" (あけおめ), a shortened form of "Happy New Year" in Japanese. To put things into context, the birth of Kate Middleton and Prince William's son hit 25,300 tweets per minute when the child was born. Japanese site IT Media reports that Twitter's Japanese branch contacted Twitter's main offices in the U.S. weeks prior to the Castle in the Sky broadcast to give a heads up so Twitter could withstand the inevitable pounding. When the anime was shown in Japan, engineers in San Francisco worked the early morning hours U.S. time as the servers were, at the peak, clobbered with four times the number of tweets per second as the previous record breaking benchmark. Even though they were working overtime, the Twitter engineers in San Francisco were apparently amused and delighted by the whole thing. 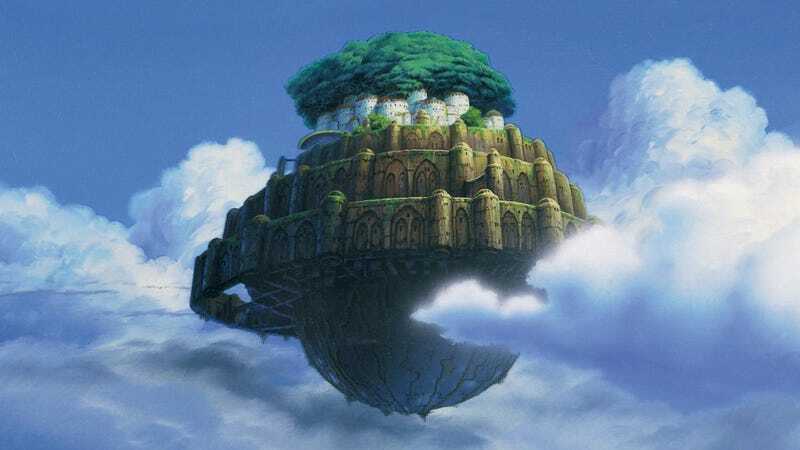 The Castle in the Sky tweets are quickly becoming an annual way that Twitter can test its own capacity and measure the strength of its servers. It's seeing how the platform reacts in the real world under tremendous stress. While chanting "balse" might have brought down an animated castle in the sky, it sure didn't bring down Twitter.